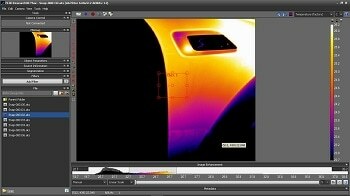 FLIR Systems proprietary 'superframing' technique has been developed to extend the effective scene brightness of a thermal image while maintaining its thermal contrast. Although most thermal cameras can produce high-contrast images showing small temperature differences, they can only do so within a defined temperature range. 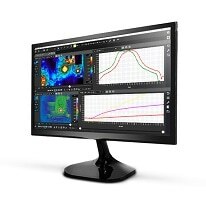 However when extreme temperatures appear within a scene, the hottest parts of the image will be saturated and the coldest parts will appear black or noisy, resulting in a loss of image detail and invalid temperature measurements. This is a particular problem in R&D applications when imaging high-speed digital video of scenes with large temperature differences such as engine monitoring, rocket launches, or explosions. The superframing technique developed by FLIR Systems involves varying the exposure, or integration time, of a FLIR thermal imaging camera from frame to frame in a cyclic manner and combining the resulting subframes into single superframes with greatly extended temperature ranges, enabling visualization of scenes featuring extreme temperature differences. For further information on the Superframing technique please visit www.flir.com/cs/emea/en/view/?id=41923 or contact FLIR Systems on telephone +32-3665-5100 / email [email protected]. 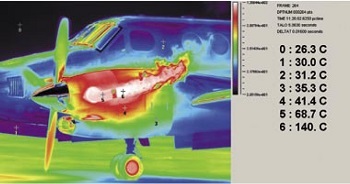 For more information, visit FLIR's web site at www.FLIR.com.